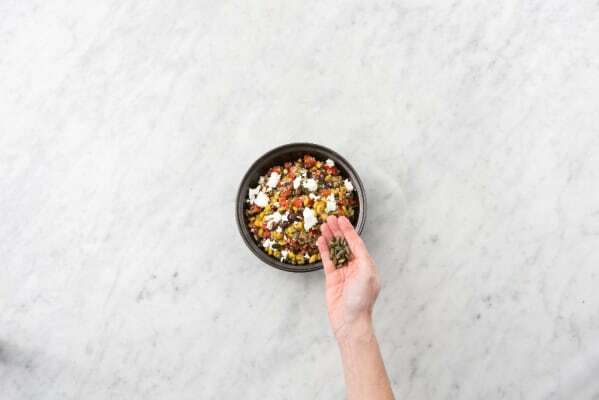 Quinoa may be native to the area around Peru, but the versatile seed can be adapted to suit pretty much any cuisine. Here, we’re pairing it with a swirl of Southwestern flavors: black beans, corn, jalapeño, pepitas, and a dressing with cumin and lime. Flavor-wise, it’s zesty and citrusy with earthy undertones. But that’s just an added bonus in comparison to the protein and vitamin C that will help supercharge you through your day. Wash and dry all produce. In a small pot, bring 1½ cups water and stock concentrate to a boil. Core and seed bell pepper, then finely dice. Mince jalapeño (remove ribs and seeds for less heat). 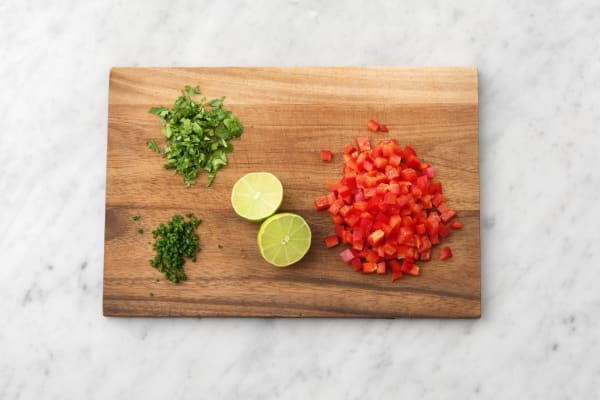 Roughly chop cilantro. Halve lime. Drain half the corn and half the black beans from their containers (use the rest as you like). Rinse black beans. 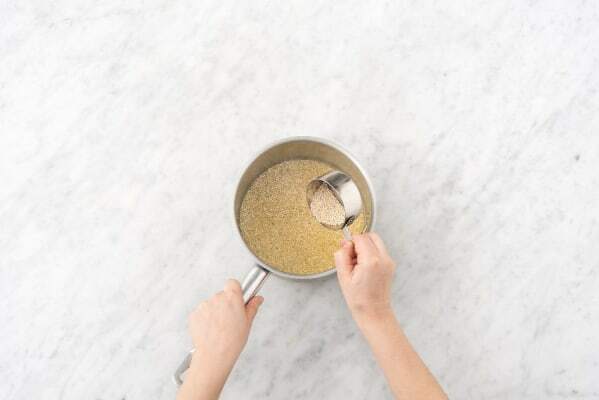 Once stock is boiling, add quinoa to pot. Cover and reduce to a low simmer. Cook until tender, 15-20 minutes. Heat a medium pan over medium heat. Add pepitas and toast in pan until lightly browned and nutty smelling, 2-3 minutes, stirring frequently. Remove from pan and set aside. 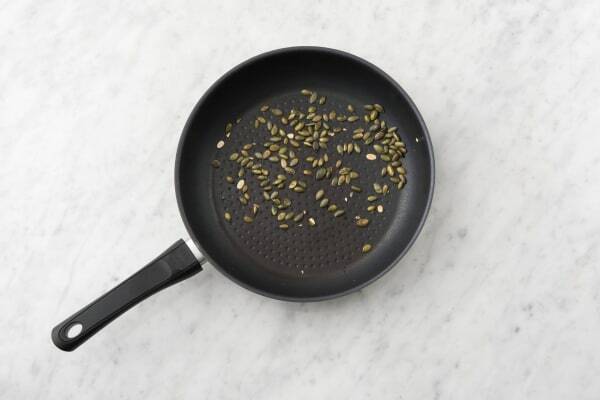 TIP: If pepitas seem like they might burn, immediately remove pan from heat. 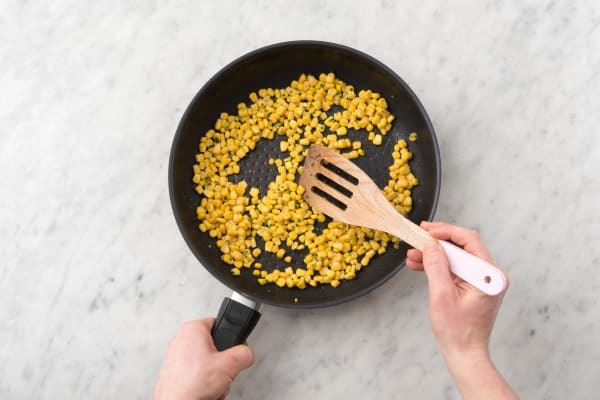 Add drained corn, jalapeño (to taste), and a drizzle of olive oil to same pan over medium-high heat. Cook until lightly browned, 4-5 minutes, tossing. During the last minute or two, toss in drained black beans and allow to warm through. Season with salt and pepper. 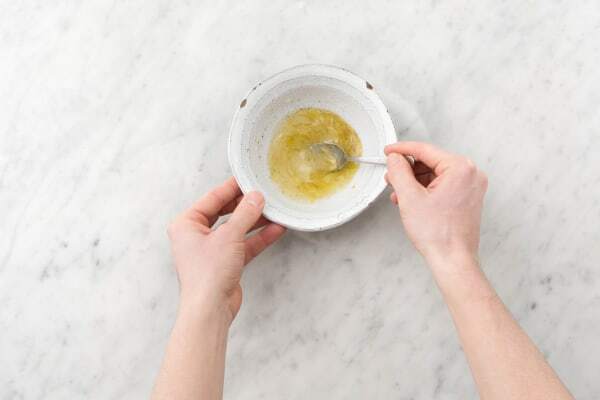 In a small bowl, whisk together cumin, juice from one lime half, and 1 TBSP olive oil. Fluff quinoa with a fork. 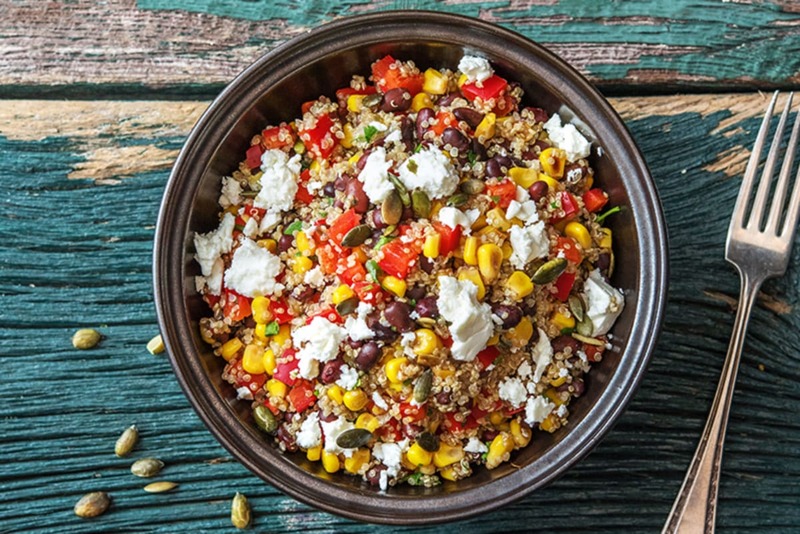 In a large bowl, toss quinoa, corn mixture, bell pepper, cilantro, and dressing. Season generously with salt and pepper. Divide between plates, then sprinkle with pepitas, feta cheese, and a squeeze of lime (to taste).